The crown jewel of Newport Beach, CA is Corona Del Mar, with wonderful beach side cottages and cliff top compounds with marvelous ocean views of the pacific coastline. Michael Franco specializes in exclusive coastal real estate from Seal Beach to San Clemente. If you would like a guided tour of some of the most breathtaking real estate and sunset views the pacific coast has to offer, get in touch with us today and we will be happy to help you in your quest to find your dream home. Even if you are not yet quite ready to sell your home, take some fall pictures both indoors and outdoors. Regardless of the season, during a home sale, put out a photo album, with pictures showing the home in all seasons. In the photo album, put some photos from all seasons and months throughout the year, so potential buyers can see what the home looks like in all seasons. It is Oktoberfest Tap Takeover time at the Sidedoor gastropub from September 28th through October 30th. The Tap Takeover will take place from 5pm to 11pm each day. The taps will be taken over by select German beers including Weihenstephaner Pils, Hofbrau Munchen, Grevensteiner lager and Erdinger Weissbier Dunkel. The Sidedoor is an English style gastropub. The Sidedoor is located at 3801 East Coast Highway in Corona del Mar. For more information, see their website at http://sidedoorcdm.com/. Corona del Mar is a section of Newport Beach which encompasses all the land on the sea side of the San Juan Hills and south of Avocado Avenue to the city limits. Located at 2525 Ocean Boulevard, this 2,400 square foot home is part of the Channel Reef development. This is a first floor unit. This three bedroom, three bathroom condo was built in 1962. This unit has wonderful views of the Pacific Ocean, Newport Harbor, the channel and the swimming pool. The large patio has easy access to the swimming pool and barbeque area. Channel Reef is a small 47 unit condo complex with 24 hour security. The homeowners’ association provides a salt water pool, spa, barbeque areas and deep water marina with slips large enough for 45 foot yachts. Residents are within walking distance to Big Corona Beach and Pirates Cove Beach. Located at 5 Windemere Court, this 5,500 square foot home is part of Pelican Ridge development in the Pelican Hill. This five bedroom, five bathroom home was built in 1994. Attention to detail can be seen in the stone floors, high ceilings and the curved staircase. There are views of the Pacific Ocean, Catalina Island, the harbor, bay, the coastline and the city night lights from this house. This home sits on a large 14,000 square foot piece of property with a cul-de-sac setting. Pelican Ridge is a 24 hour guard gated community built by the Irvine Company. Located at 231 Via Lido Soud, this 3,500 square foot home is part of the Lido Isle community. This three bedroom, four bathroom home was built in 1992. The kitchen features stainless steel appliances, granite countertops and stainless French doors. Attention to detail can be seen in the wine cellar, wood flooring and crown moldings. There are views of the Pacific Ocean, the Bay and white water. This home sits on a 3,400 square foot piece of property. The home has a dock. Chancellor is a development in the University Park Village in the city of Irvine. Chancellor has detached one and two level single family homes. This development was built between 1964 and 1972. Homes have between two to six bedrooms with three bathrooms and range in square footage from 1,500 square feet to 2,850 square feet. University Park is a mid-sized master planned community is west of the 405 Freeway and bordered by Culver Drive, Jeffrey Boulevard and University Drive. In the entry foyer or entry area, where potential buyers will enter your home during an open house or showing leave out a guest book. Ask people to leave comments in the book. During the fall season, put out mini-bags of candy corn or mini candy bars next to the guest book to encourage people to leave comments, and then use these comments to help sell your home quickly. Spa Happy Hour on Fall Weekdays will be held on now through Tuesday, October 31st. The Spa at the Island Hotel is offering specials on spa services Monday through Friday. Happy Hour beings at 4pm and continues until 8pm. Choose from any two, 30 minute treatments including a reflexology massage, island express facial, power stretch and many others. The Spa at the Island Hotel is located at 690 Newport Center Drive in Newport Beach. For more information or to make an appointment see their website at: http://www.islandhotel.com/spa/. Corona del Mar is well known for its pristine sandy beaches, sparkling tide pools and cliff side views. Located at 2534 Bungalow Place, this 1,900 square foot home is part of the Sail House community. This two bedroom, three bathroom home was built in 2002. The home has been recently remodeled in a contemporary style. The kitchen features top of the line appliances, Calcutta marble surfaces and island with seating. The house has extensive use of stone, glass and porcelain. There are peek-a-boo views of Newport Harbor and the shoreline. Sail House was designed by John Laing home and has both attached and detached condos. All Condos have an attached garage. Residents are within walking distance of the Villages of Corona del Mar and the Newport Beach Dog Park. Aliso Laguna is a development in Laguna Beach. Aliso Laguna is home to one of Laguna Beach’s most famous streets, “Ocean Vista Street.” There are both condos and single family homes in the Aliso Laguna. This neighborhood has a high bluff setting giving homes a nice view of the Pacific Ocean and Catalina Island. Homes range in price from $700,000 to 1.6 million dollars. This development is in the heart of the Laguna Beach, within walking distance of dining, shopping and entertainment in South Laguna. Located at 2 Lantana, 4,600 square foot home is part of the Belcara development in Newport Coast. This four bedroom, six bathroom home was built in 2004. The open floor plan allows for abundant natural light. This home sits on a 10,000 square foot piece of property with a cul-de-sac setting. Outdoors homeowners will enjoy relaxing by the swimming pool, spa, built-in barbeque and outdoor fireplace. Belcara is part of the Pacific Ridge area. Located at 123 Via Florence, this 5,600 square foot home is part of the Lido Isle community. This three bedroom, seven bathroom home was built in 2005. This home was designed by architect John O’Neill. Attention to detail can be seen in the Venetian plaster, Italian limestone and antique walnut. This home sits on a 6,700 square foot piece of property with a corner lot setting at the food of Piazza Lido. De-cluttering is one of the first steps in getting ready for a home sale. Put away most knick knacks, just leave out a vase or fruit bowl, keep things simple. Pack away out of season clothing, this will make closets appear larger and organized. Remove all the magnets, photos and other items from the front of refrigerator. Remove unnecessary items from the pantry, so it too looks larger and organized. The Unleash the Love Fundraiser will be held on Thursday, September 28th. This fundraiser supports the work of Three Pack Funds, which goes to saving animals, supporting volunteers and educating the public on local animal rescue organizations. The fundraiser begins at 5pm and ends at 8pm. Unleash the Love will be held at FiveCrown Restaurant, located at 3801 East Coast Highway in Corona del Mar. For more information, see their website at: http://3packfunds.org/. Corona del Mar is a known locally as the CDM and is Spanish for “Crown of the Sea.” This area is filled with cliff side views, sandy beaches, great shops and restaurants. Located at 4721 Dorchester Road, this 3,000 square foot home is part of the Cameo Highlands development. This three bedroom two bathroom home was built in 1961. Enter the home through a courtyard. This single level home has amazing views of the Pacific Ocean, Catalina Island, white water, city night lights and spectacular evening sunsets. This home sits on an 8,300 square foot piece of property within walking distance of a park. Outdoors, homeowners will enjoy a pebble clad swimming pool, water features and an outdoor fireplace. Cameo Highlands has 142 single story homes and a private gated beach. Located at 701 Bayside Drive, this 4,400 square foot home is part of the Promontory Bay development in Newport Beach. This five bedroom, six bathroom home was built in 2007. The home features five fireplaces, a three car garage and an outdoor fireplace. This home sits on a 5,300 square foot piece of property. Promontory Bay is in the Lower Newport Bay-Balboa Island area of Newport Beach. This development is on a manmade peninsula. All 62 custom built homes are waterfront with their own dock. Located at 1000 Flamingo Road, this five bedroom, six bathroom home is part of the Rancho Laguna development in Laguna Beach. This 10,200 square foot home was built in 2013. This home sits on a very large 42,000 square foot home. This home features a 10 car garage, high ceilings and custom glass and walnut staircase. Outdoors, homeowners will enjoy a 10 person spa, custom swimming pool with a swim up bar and an entertaining cabana. There are views of the Pacific Ocean, surrounding canyons, white water and city night lights. Rancho Laguna has a population of approximately 350 people. Cypress is a development in Newport Coast. Cypress is a guard gated community and was built between 2004 and 2006. There are four distinctive floor plans to choose from with Tuscan and Provencal farmhouse architectural style. Cypress has wonderful views of the Saddleback Mountain Range, the Pacific Ocean, surrounding canyons and wonderful evening sunsets. There is a community pool, spa and barbeque area. When you are having open houses or showing of your home, when it is listed on the real estate market, leave out little snacks. As fall is setting in, consider leaving out apple cider and little packets on corn candy or mini wrapped chocolate bars. Leave them out in a basket or pretty candy bowl. The Discover Shop’s Fall Preview will take place on Friday and Saturday, September 15th and 16th. The Discover Shop will be open from 10am to 6pm each day. This is the perfect way to finish off a fall outfit with scarves, leather jackets, cashmere sweaters, boots and accessories. Shopping at the Discovery Shop supports the American Cancer Society. The Discovery Shop is located at 2600 East Coast Highway in Corona del Mar. For more information, see their website at: https://www.cancer.org/involved/donate/more-ways-to-give/discovery-shops-national.html. Corona del Mar is a popular area within Newport Beach well known for its sandy beaches, tide pools and astounding cliff side views. Located at 2209 Bayside Drive, this property is up for auction and is situated in the Bayside Drive Custom development. The property is a very large 24,000 square feet. Bidding will begin at 11.9 million dollars. The property includes a historical icon, the original 350 foot ferry dock for Newport Harbor built in 1920. In addition, the lot has 100 feet of private beach. Bayside Drive is a prime bay front street that is a two and half mile stretch between the Pacific Ocean and the Pacific Coast Highway. Corona del Mar State Park Beach, Pirate’s Cove and Bayside Drive County Beach are all within walking distance. Located at 11 Clear Water, this 12,000 square foot custom built estate is located in the Crystal Cove Custom development. This seven bedroom, eleven bathroom home was built in 2011 by Rodeo Homes. The home features a temperature controlled wine cellar, private gym and sound studio. Views include the Pacific Ocean, white water, Newport Bay, Catalina Island, city night lights and spectacular evening sunsets. The home sits on a 21,000 square foot piece of property. Crystal Cove is a 24 hour guard gated community. Located 42 Pelican Point Drive, this 8,800 square foot estate is part of the Pelican Point development. This four bedroom, six bathroom home was built in 2002. The home has a European Baroque architectural style. Attention to detail can be seen in the hand blown glass windows, trompe I oeil styel paintings and custom mosaics. This home has views of 12th hole of the Pelican Hill Golf Course. Pelican Point is a 24 hour guard gated development of just 48 custom built homes. Alta Vista is a development in the Eastside area of Costa Mesa. This condo complex was built in 1975. The condos range in square footage from 1,058 to 1,500 square feet with three bedrooms and two or three bathrooms. There are just 16 condos in this complex. Most units have been updated or remolded in recent years. Residents are within walking distance of Back Bay. As you prepare your home for an end of summer home sale, be sure to make the most of your outside living spaces. Play up the pool area, on hot days, a pool is a huge selling feature. Keep the area clean and neat and stage it as you would for a party, this will give potential buyers a great first impression and an idea how they can use the space for relaxing, exercise and entertaining. The September installment of the Marine Committee will be meeting on Tuesday, September 5th from 5:30pm to 6:30pm. At this meeting come and meet the new Harbormaster Dennis Durgan. Other September topics include moorings and mooring holders and visiting boaters. This committee meets once a month and all topics will be information and education which are “marine oriented.” The meeting will be held at the Marina Park, located at 1600 West Balboa Boulevard in Newport Beach. Corona del Mar is locally known as the CDM and is Spanish for “Crown of the Sea.” The area is well known for its pristine sandy beaches, sparkling tide pools and amazing cliff side views. Located at 2525 Ocean in Corona del Mar, Unit #D-3 is a 1,200 square foot condo in the Channel Reef development. This two bedroom, one bathroom unit was built in 1962. This one level condo is on the third floor of a six floor building. The condo has new carpeting and has recently been painted. Every unit has a one car garage with extra storage. Outdoors, the patio from the living room and the master bedroom overlooks the pool, marina and Newport Harbor. Channel Reed is at the western end of Corona del Mar State Beach. Among the many amenities offered in the complex are a salt water swimming pool, spa, deep-water marina and barbeque area. Nearby Pelican Hill offers a group of luxury developments including the community of Pelican Ridge Estates. Pelican Ridge Estates is a 24 hour guard gated neighborhood, planned and developed by the Irvine Company. Homes in this neighborhood range in size from 4,500 to 7,000 square feet on oversized properties. These homes have views of the Pacific Ocean, Newport coastline, Catalina Island, city night lights and gorgeous evening sunsets. Located at 9 Crestwood in Newport Beach, this 7,300 square foot estate is part of the Harbor Ridge Custom home community. This five bedroom, seven bathroom home was built in 1981. The home is designed for entertaining with Carrera marble fireplaces, a chef’s kitchen and a large, beamed formal dining room. The views from this home include the Pacific Ocean, Catalina Island, Newport Harbor and city night lights. The home sits on a large 10,000 square foot piece of property. Harbor Ridge is part of the Spyglass section of Newport Beach. 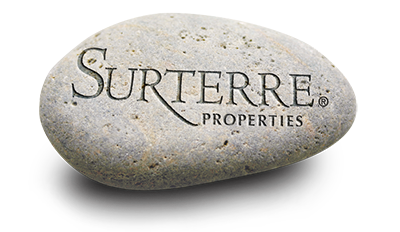 The nearby city of Laguna Beach is home to a highly sought after real estate market. Located at 2529 South Coast, this twelve bedroom home with eleven bathrooms is 8,000 square foot. The home sits on a bluff front property with 120 feet of ocean frontage; the lot is 24,000 square feet in size. This home was built as wedding gift for his wife, by developer Frank Miller. Part of The Village community, residents are in the heart of Laguna Beach with many shopping, dining and entertainment options. When you are preparing for a home sale begin with a general deep cleaning and de-cluttering of the space. Do things such as packing away personal photos and knick-knacks, so potential buyers spend time viewing the home not your ‘stuff’. As part of the deep cleaning, consider professionally cleaning the carpets, which will not only improve the look of the carpets but will also help to reduce odors in the home. Roger’s Gardens is having a Kokedama Workshop on Wednesday, August 23rd. The hour long workshop begins at 6pm. Aimee Goodwin and Kathleen Nestell will lead the class. The workshop includes step by step instructions on how to make a kokodama, which translates as “moss ball.” This is a form of Japanese garden art. This workshop costs $100, requires reservations and includes enough materials to make three kokedamas. To register for this class, see their website at: http://rogersgardens.com/seminars-events/kokedama-workshop-with-aimee-goodwin-kathleen-nestell/. Corona del Mar is part of the Newport Beach community. Corona del Mar encompasses all the land from the seaside of San Joaquin Hills to south of Avocado Avenue to the city limits. Located at 7 Carmel Bay, this 5,800 square foot home has four bedrooms and four bathrooms. This home was designed in 2006 by Mark Singer. With views of the Pacific Ocean, Newport Beach Coastline, city night lights and amazing sunsets, this house is an entertainers dream home. The great room features a double sided fireplace. The 8,900 square foot property has a 40 foot long four sided infinity edge pool. Other real estate opportunities in the Newport Beach area include the estate located at 11 Pelican Vista Drive, which is part of the Pelican Crest development. This estate has four bedrooms and nine bathrooms. This 7,600 square foot home was built in 2001. Attention to detail can be found in the Meile appliances, customized LED system and the Bang and Olufsen multimedia equipment. Pelican Crest is a 24 hour guard gated neighborhood with 158 custom built estates. Also located within Newport Beach, this two bedroom, two bathroom condo is located at 2600 Newport Boulevard Unit #311. This 1,500 square foot unit was built in 1992 and is part of the 28th Street Marina complex. This top floor unit has both Pacific Ocean views and views of the bay. Recently remodeled, the space has a kitchen, formal living room and dining room. There is underground parking for two vehicles. 28th Street Marina is in the West Newport Lido Isle area of Newport Beach. Just south of Newport Beach, Laguna Beach is an arts community with several luxury developments. California Cove is one such community. Located on the east side of 73 Freeway, off of Aliso Creek Road and Laguna Canyon Road in Laguna Canyon is a just minutes away from the beach. These single family homes have two or three bedrooms. Now that summer is underway, Summer Camp programs are beginning. STEM Summer Day Camp at the German School Campus begins on Monday, July 3rd. The program is one week long and ends on Saturday, July 8th. Tuesday, July 4th will be a holiday for the camp. This is a day long program starting at 8:30am and ends at 4:30pm. STEM stands for Science, Technology, Engineering and Mathematics. The camp offers an environmental curriculum including activities on the water. Everything students learn during the camp can be used in science classes in middle school and high school. Classes will be grouped by ages from 6 to 17. Chamber of Commerce members will receive a 10% discount. The German School Campus is located at 1931 West Coast Highway in Newport Beach. For more information or to register, see their website at: https://www.germanschoolcampus.com/. Corona del Mar is home to some of the most sought after view real estate in Newport Beach. With its strict by-laws regarding home height, these views will be ensured for years to come. Located at 218 Hazel Drive, this three level home is part of the South PCH community. This four bedroom, five bathroom home was built in 2010. This custom home was designed by Fleetwood Joiner. With a coastal European architectural style, attention to detail can be seen in the vaulted and beamed ceilings, stone work and hardwood finishes. The gourmet kitchen features custom cabinetry, custom stone work and professional-grade appliances. There is a private guest wing. This unique home has amazing views of the Pacific Ocean, Little Corona Beach, white water and stunning sunsets. This home sits on a 6,100 square foot piece of property, near the local park. Outdoors, homeowners will enjoy entertaining on the veranda with a fire element, on the pool terrace around the pool and spa and in the tiered gardens. South PCH is a quiet area. When selling your home during the summer months, you may have to be more flexible with the time of day your home is shown, if it is up for sale. Often in the summer, twilight during weekdays is a popular time to view homes that are for sale. Remember it is best to take pets with you, when you leave before a showing or open house at your home. Before for all showings and open houses be sure to turn all the lights on. Also, open closet doors, potential buyers will anyway and turn on the lights in the closets. Tip-A-Cop is back and it is at Javier’s. On Tuesday June 20th, the Newport Beach Police Department will be playing the part of servers at Javier’s Restaurant. Police officers and Special Olympic athletes will be co-hosting this event. All the money the officers receive in Tips and extra donations will benefit the Special Olympics of Orange County. The event gets underway at 5pm and continues until 9pm. Javier’s Restaurant is located at 7832 Pacific Coast Highway in Newport Beach. For more information or to make reservations for this dinner, see either of these websites: https://www.newportbeach.com/events/nbpd-tip-a-cop-special-olympics-event/ or http://javiers-cantina.com/#!/page_NEWPORT. Corona del Mar is a section of Newport Beach; the name is Spanish for “Crown of the Sea.” Corona del Mar is known for its amazing views, with its strict by-laws on home height, views are ensured for years to come. Located at 230 Driftwood Road, this 5,900 square foot home is part of the Shore Cliffs development. This five bedroom, six bathroom home was built in 2006. With a Mediterranean Revival architectural style, the home features a large entry with hardwood and stone floors. The home was completely remodeled in 2015 and has many modern amenities. Attention to detail can be seen in the coffered ceilings, limestone fireplace and 1,000 bottle wine cellar. The gourmet kitchen has a center island, stone countertops and professional grade appliances. There are terrific views of the Newport Beach coastline and the Pacific Ocean. The home sits on an 8,700 square foot piece of property. The large backyard has a covered loggia, a swimming pool and spa. In addition, the backyard has an arched water feature and built in barbeque area. Residents of Shore Cliffs have two accesses to Little Corona Beach. There are just 146 custom built homes in Shore Cliffs, which was designed by the Irvine Company. If you are preparing to sell your home, it is the perfect time to de-clutter. By de-cluttering you will make your spaces, especially storage space look larger. While de-cluttering closets make sure all the lights in the closets are in working order, leave closet doors open and the lights turned on during showings and open houses. De-cluttering can include removing pieces of furniture, which will make rooms look larger. This is a good time to stage each room with a specific purpose, so potential buyers have a clear picture of how each room is used. The Newport Beach Library will be featuring Earth Moon by Ron Yeo for their April and May Art exhibit. Earth Moon is an exhibit of architectural bottle cap art. Ron Yeo is a native Californian, who has resided in Corona del Mar for the last 53 years. Yeo owns a Corona del Mar architectural practice and has worked on the “Back Bay Muth Center,” “Back Bay Science Center,” and the “Newport Theater Arts Center.” Ron Yeo’s last creations are a series of art pieces which have been created using recycled bottle caps. Many of the bottle caps and action figures used in these art pieces were found on morning beach walks. The Exhibit opened on April 3rd and will continue through Friday, May 26. This exhibit is sponsored by the Newport Beach Arts Commission. For more information about this exhibit, see their website at: http://www.newportbeachlibrary.org/home. Corona del Mar is vibrant area in Newport Beach. Locally known as the CDM and is Spanish for the “Crown of the Sea.” Located at 2724 Ocean Boulevard, this 7,000 square foot home is part of the South PCH community. This six bedroom, ten bathroom home was built in 2006. Called the Pacific White House, this custom built home was designed by architect Brion Jeanette and built by Finton Construction. The living room has glass walls giving it endless views. The solarium features a salt water aquarium. There are amazing views of the Pacific Ocean, Newport Harbor, Catalina Island, The Wedge, the pier and stunning sunsets. The home sits on an 8,600 square foot piece of property. The outdoor areas are filled with mature hedges and gardens and a lawn. South CDM is on the south side of the Pacific Coast Highway. Students attend the Harbor View Elementary School and Corona del Mar High School, both a part of the award winning Newport Mesa Unified School District. South CDM is a short drive to Laguna Beach and Crystal Cove. South CDM is located near Village Corona del Mar, for upscale dining and shopping excursions. Spring is a fabulous time of the year to sell your home. Before listing your home on the market, give it a good spring cleaning. A great place to start is in the main entry to the home, this is the first place potential buyers will see. Clean all the lighting fixtures and make sure all the light bulbs are in working order, you want to turn the lights on for all showings and open houses. Clean around the front door, on both sides and don’t forget to polish the door knob. The 56th Annual Scholarship Awards Dinner will be held on Wednesday, April 26th. Local, Newport Harbor High School, Corona del Mar High School and Sage Hill School students will be honored for their academic achievements during this awards ceremony and dinner. There will be a special guest speaker for the event and the teacher of the year from each school will be honored. Both individual tickets and table sponsorships are available. Tickets include dinner and parking. The Scholarship Awards Dinner will be held at the Radisson Hotel Newport Beach. The Awards Dinner will begin at 6pm and continue until 8:30pm. The Radisson Hotel Newport Beach is located at 4545 MacArthur Boulevard. For more information or to purchase tickets, see their website at: https://www.newportbeach.com/events/56th-annual-scholarship-awards-dinner/. Corona del Mar encompasses all the land on the seaside of the San Joaquin Hills and south of Avocado Avenue to the city limits. One exception is the Irvine Terrace development which is north of Avocado Avenues, but still part of Corona del Mar. Located at 2001 Bayadere Terrace, this 4,100 square foot home is part of the Irvine Terrace development. This four bedroom, three bathroom home was built in 1958. With its high bluff setting, this home has awe-inspiring views of Newport Harbor, the Pacific Ocean, Catalina Island, Main Channel, Balboa Pavilion, city night lights, Palos Verdes, and beautiful evening sunsets. This home sits on a large 12,000 square foot piece of bluff front property. This piece of property has 80 feet of frontage and can be re-built with a two level home. Students living in this area attend Harbor View Elementary School, Corona del Mar Intermediate and High School. There are 390 homes in Irvine Terrace. Irvine Terrace is a terraced community, specifically designed to ensure all homes have great views.